I seem to have this ridiculous love-hate relationship with bananas. I love the thought of eating them because they’re super quick and convenient, but whenever I put one in my purse it gets squished so I NEVER want to take them with me anywhere. Then, next thing I know, there they are, sitting on my counter covered in black spots, too mushy to eat. What do you do with over ripe bananas? My best friend once made me blueberry oatmeal pancakes which used eggs and bananas as the binder, so I thought to myself: Why can’t I do the same thing for muffins? 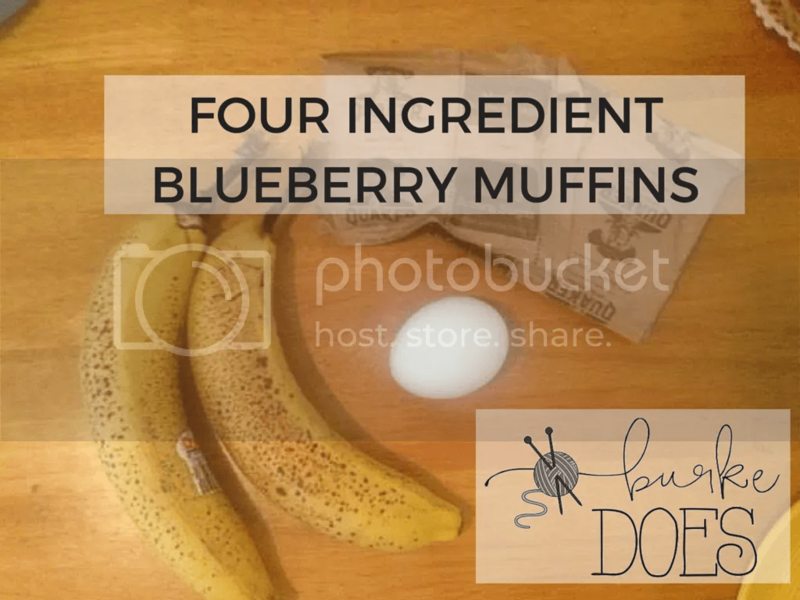 I rounded up the things from my pantry and got to mashing it all together to make these beautiful muffins. 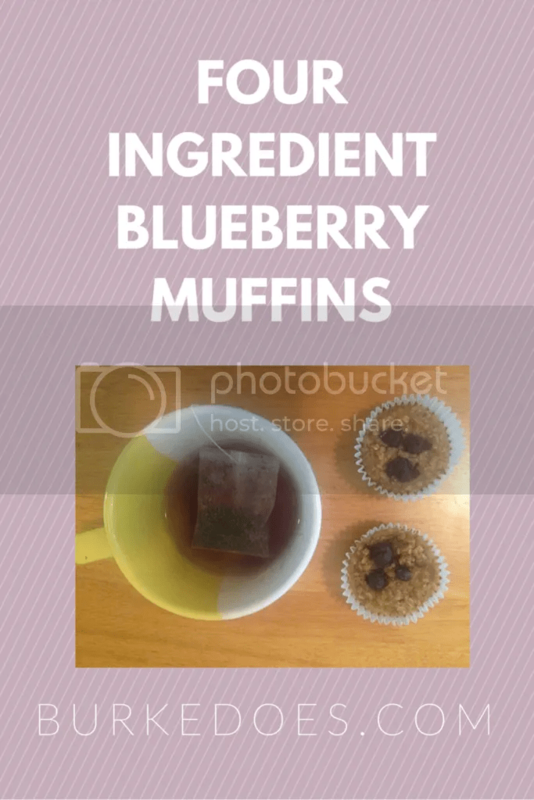 This recipe is great because just change the special ingredient to give these blueberry oatmeal muffins something new every time. I used frozen blueberries, because it just happened to be what I have at home. This would also work really well with chocolate chips or walnuts to make a healthier version of banana nut muffins – I’m drooling at just the thought of it. These muffins are super simple to make. Quick tip: I lined my muffin tin with paper liners and made 7 muffins – what a weird number. They don’t really grow when you bake (very, very little) so I fill them almost to the top and I topped each one with three little blueberries. 2 packs of instant oatmeal – I used maple and brown sugar which already added the sweetness to my muffins, but you could use any flavor you like. Peel two bananas and mash them up. I did this right in the big bowl where I was going to mix all the ingredients. Add eggs and mix it into the bananas until well incorporated. Drop in the two bags of oatmeal and mix away until everything is perfectly combined. Baked them at 400 degrees for 20 minutes or until the edges start to brown. Let them cool before you try to remove the paper – or eat them hot and expect them to be totally stuck to the paper, but absolutely delicious anyway. I hope you enjoy and let me know if you try any cool variations!